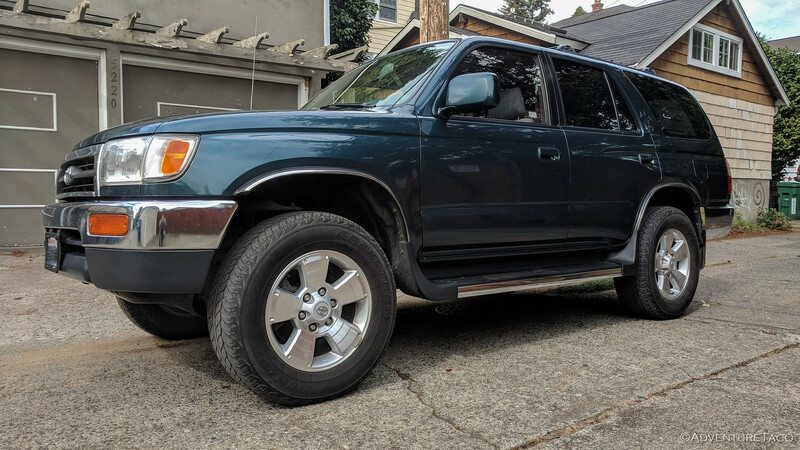 Well, we're now a two-Toyota family. For the last several months, @mrs.turbodb and I have been talking about getting a 4Runner so that our adventures with @mini.turbodb can be more comfortable for her - the extended cab of the Tacoma becoming a tight space for a growing kiddo. 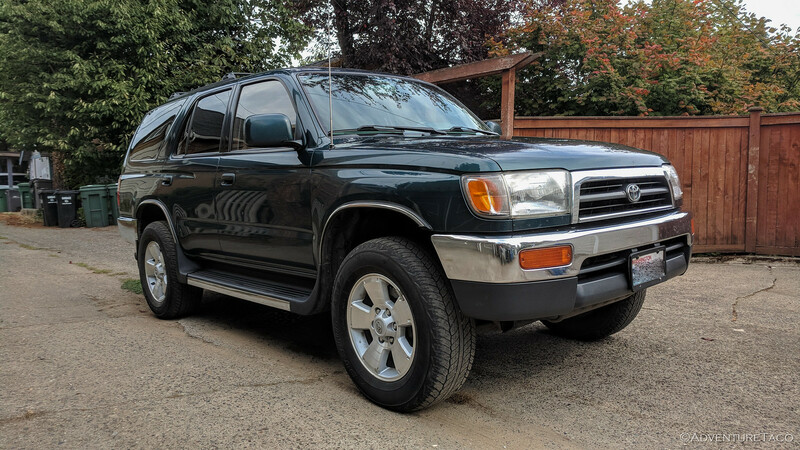 A 4Runner - especially an older 3rd gen one - seemed like a good choice. Proven Toyota reliability, a similar platform (and the same engine) to the Tacoma, and four doors! So when this beauty came along, we were quick to go check it out. 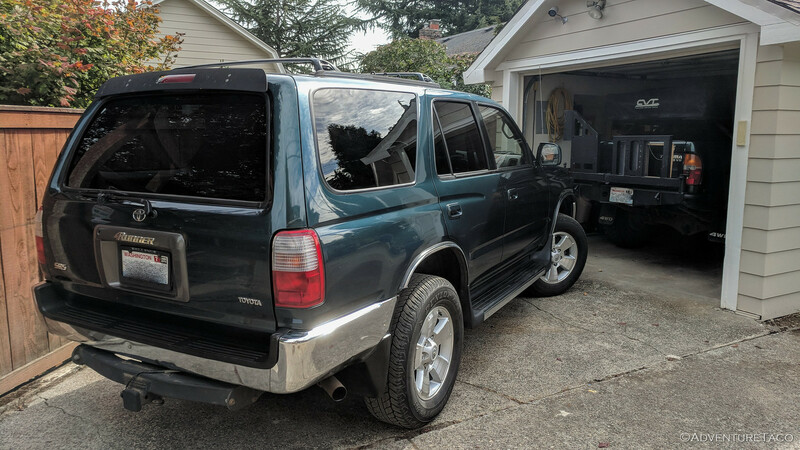 It's a 1997 with 270,000 miles on it. Basically stock, it appears to have been well maintained and loved by it's previous family. Our plan is to do the same - leaving it mostly as-is, with only a few minor mods to make it fit our needs. Or at least, that's what we're telling ourselves right now! Change most of the fluids (engine, diffs, transfer case, brakes, power steering, transmission). Remove the side steps and replace them with sliders. Replace the brakes, which are clearly in need of replacing. Get some new tires. We need something a bit more capable than these passenger-rated tires off a second-gen Tacoma :). Previous Post Rig Review: What worked and what didn't on the Re-Tour?